Amazing scenery, great company, delicious food, kind staff and somewhere comfy to sleep - with no unpacking! However,the crux of these trips stems from the quality of the guides. 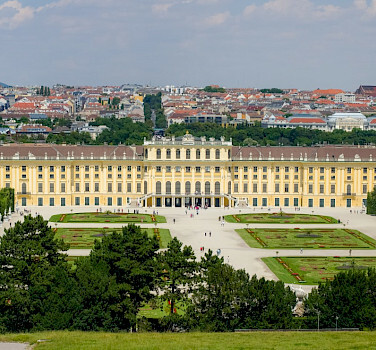 Our first trip, to Vienna, Had a guide that knew the route well, but smoked at every stop, and wanted to always eat dinner at somewhere he could buy alcohol; we preferred to eat our rolls in the fresh air, which sometimes was tricky. He tended to ride off without checking we were all ready, leaving riders behind until someone caught him. Our second trip (Merzig to Koblenz) had a lady guide who was not at all familiar with the area, but used her GPS to locate landmarks and routes (sometimes taking the shortest, not the most scenic). She didn't give an initial safety talk, she changed the route from the easy one offered to a more scenic but quite difficult one, causing one older, inexperienced lady to fall (end of trip for her and her husband,, hospitalisation for almost a fortnight, skingraft). Our replacement guide tried hard, but couldn't seem to match the route to the one we'd booked, so we missed seeing things we'd looked forward to. So our last trip, Koblenz to Amsterdam, was not one we would recommend unless they sorted the route out. Apart from the above, we'd recommend this mode of travel. We always seemed to be in a rush to get back to the boat before its departure. I hadn't realized that the boat would have such a tight schedule to get from one docking point to another. I would have paid slightly more to have better food. There was way too much pork served; I felt starved for good quality, fresh vegetables by the time the tour ended.